Midterm Recap: Is Anyone Surprised? No Surprises” playing in my head over and over again. In my mind, the song’s famous xylophone riff loops while half-speed, black and white images of Governor Raimondo, Mayor Elorza and Speaker Mattiello smiling, waving and dancing appear before me. On Tuesday November 6, Rhode Island’s Democrats amplified their control of government, retaining power as a diverse unit with broad goals and convictions. 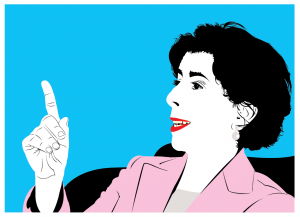 In the gubernatorial race, Governor Gina Raimondo was handily re-elected, while claiming 52% of the vote. Mayor Jorge Elorza crushed independent challenger Dee Dee Witman, winning nearly all precincts in the capital city. For his part, Speaker Nicholas Mattiello defeated Republican challenger Steven Frias by a wider margin of victory than he did in their infamous 2016 mail ballot showdown. While Rhode Island is a classically blue state, there were some questions going into election day about the margin of support that existed for Governor Raimondo, Mayor Elorza and Speaker Mattiello. Outside of their own bases and party ideologues, some pundits predicted that there was a silent majority of voters who would help challengers take some of the key elections away from Democrats this cycle. Unsurprisingly, however, the 2018 election results will not only allow the state’s leadership to remain in power (with Attorney General-elect Peter Neronha substituting for outgoing Attorney General Peter Kilmartin), but also displayed that the Democrats’ communication and get out the vote efforts were extremely effective in harnessing their existing supporters and expanding the number of voters in their corner. While much of the gubernatorial fanfare going into election day revolved around Trumpian-independent Joe Trillo’s feud with Republican nominee Allan Fung, and whether Trillo was dividing the conservative vote in what would, without his presence, be a tight race between Mayor Fung and Governor Raimondo, reality hit hard on election night, with Mr. Trillo amassing a humiliating sub-5% of the overall vote, and Mayor Fung falling tens of thousands of votes short of a serious challenge to Governor Raimondo. Dee Dee Witman built a grassroots coalition of support ranging from public sector unions to Mayor Elorza’s Democratic primary challengers Kobi Dennis and Robert DeRobbio, and while some may attribute her defeat to a late entry into the race, the reality is that, despite some resistance, Mayor Elorza has commanding control and influence on the city’s East Side, and beyond. For Speaker Mattiello, a second hurdle remains for him to fully remain in power — one he will almost certainly clear — in having to be reinstalled as Speaker by his fellow members of the House. But in the HD15 race this election day, Mattiello demonstrated that his legislative grants, car tax phase-out and handling of the PawSox stadium-financing saga have seemingly increased his base of support, even as a Democrat in a conservative district. These results, coupled with the political obliteration of the Republican or other non-Democrat challengers in the US Senate and Congressional races, the Lieutenant Governor, Attorney General, Secretary of State and General Treasurer races, led to a predictable outcome in 2018 Rhode Island election, one that featured no surprises.